Prior Experience – 5 Days, 100 miles, 4 night hours on board a sailing yacht. Theory to the level of Day Skipper, 1st Aid and radio licence recommended. 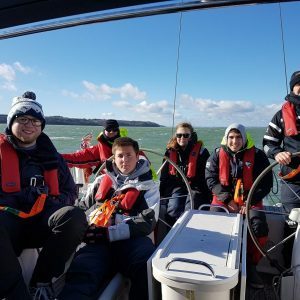 The RYA Day Skipper course aims to provide the knowledge and skills required to skipper a yacht by day, in familiar waters, but includes an element of night hours to boost your confidence at night sailing. Most students will have competed the RYA Day Skipper Theory course before joining the practical, although this is not always necessary. This is a great opportunity to learn not only from our experienced instructors but also the others on the boat and participate in life onboard a cruising yacht. This course is popular with those looking to charter yachts in the UK and abroad, as it is often the minimum requirement for chartering.